Primary partitions is a partition that is needed to store and boot an operating system, In general, you would install the operating system in a primary partition. 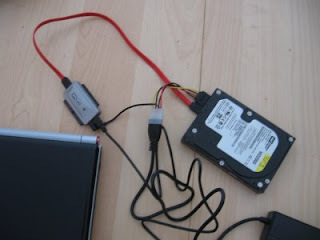 A primary partition can be set "active", which allows the computer to locate the operating system that needs to be started. Only 1 primary partition can be active, but more primary partitions can exist. If more than 1 primary partition is set active, the computer will not boot. Also, when no primary partition is set active, the computer will not boot. Only the partition table in the MBR can contain primary partitions. Extended partition can be sub-divided into logical drives and is viewed as a container for logical drives, where data proper is located. An extended partition is not formatted or assigned a drive letter. The extended partition is used only for creating a desired number of logical partitions.. Logical partitions are the partitions that are created in the extended partition area. A logical partition is a way to extend the initial limitation of four partitions. An extended partition can contain up to 24 logical partitions. Logical partitions are used for storing data mainly, they can be formatted and assigned drive letters; their details are listed in the extended partition’s table - EMBR (Extended Master Boot Record). Note that when using Dynamic disks these rules don't apply anymore.